What is the Dire Straits mailing list? The Dire Straits mailing list allows fans of the rock group Dire Straits to communicate with each other via email. E-mail sent to the mailing list is forwarded to members of the list. The mailing list serves as a forum for discussion about Dire Straits, their music, and related topics. How do I subscribe to the Dire Straits mailing list? Send an email message to Telegraph-Road-request@cc2.cumber.edu with the word "SUBSCRIBE" in the body of your message. How do I remove myself from the mailing list ? in the body of your message. Please make sure that your send the message to : Telegraph-Road-request@cc2.cumber.edu If you leave out the word "request" your mail will go to everyone on the list. You will not be removed from the list, and you will end up cluttering mailboxes of countless people with junk mail. Please use the correct address ! If you send a UNSUBSCRIBE request to the mailing list and continue to receive mail, please be patient, requests are not immediate and may take a few days. If you still cannot seem to remove your self from the mailing list, please send email to the list owner Frosty@cc2.cumber.edu, and he will remove you manually from the list. Please only send email to Frosty if you are unsuccessful on repeated UNSUBSCRIBE attempts. 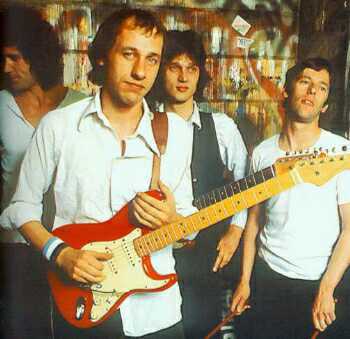 How do I send mail to the Dire Straits mailing list? What topics can I discuss on the Dire Straits mailing list? In general any topics related to Dire Straits, Mark Knopfler, or the solo projects of other band members can be discussed. Topics in the past have included lyrics discussion, tour information, collaborations with other artists, book reviews, interviews, and many others. Please don't be shy, create your own topic for discussion. What is the proper etiquette on the Dire Straits mailing list? People on the list, though sometimes quiet, are a very polite group. Please treat people with respect and you will receive the same. All flame wars should be taken to e-mail.